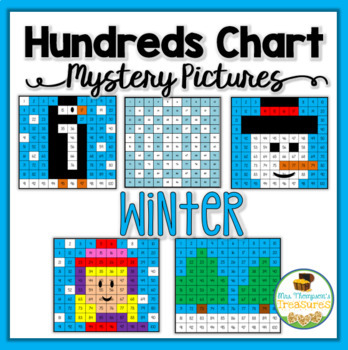 Students will love discovering the winter mystery pictures with this set of 5 fun printable worksheets! 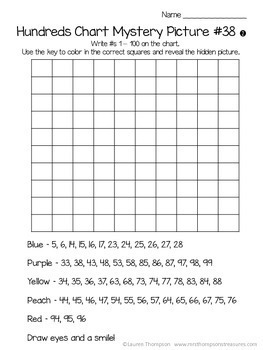 Students will practice place value, colors, and numbers as they use the key to color in the boxes on the hundreds chart! 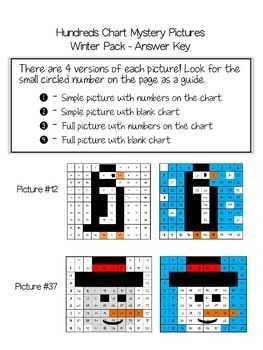 Each picture comes in 4 versions for differentiation! Follow me to be notified of new products, sales, and freebies! Just click the green star by my store name near the top of the page. 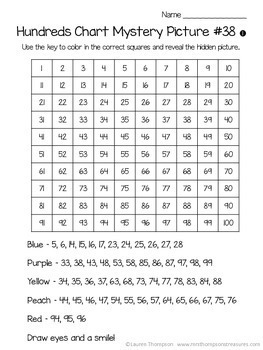 CCSS.Math.Content.1.NBT.B.2 Understand that the two digits of a two-digit number represent amounts of tens and ones.